When getting into archery, you have quite a few options when it comes to style of bows to use. When you narrow it down to what style of bow you would like to shoot, you will have to decide on what model to choose. 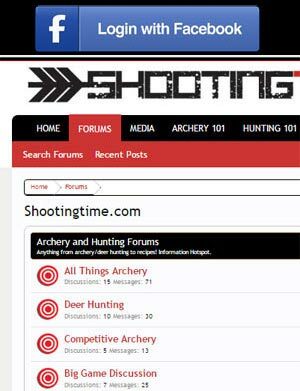 Let’s take a look at the different kinds of archery bows available to today’s modern archer. First developed and patented (1) by american inventor Holless Allen in 1966, the compound bow revolutionized the sport of archery. The much more energy efficient compound bow uses a system of stiff limbs, a bowstring, cables, riser and cams (pulleys) in order to store a large amount of energy into the bow’s limbs while relieving the archer from peak draw weight at full draw. Modern compound bows may have a draw weight ranging from 45-70 lbs but when at full draw, due to the mechanical design of the bow, the archer is only holding 20-25% of the draw weight at full draw. When drawing a bow that requires 70 pounds of force, the archer draws back reaching peak draw weight well before full draw. While at this moment of the draw, the bow’s limbs are under their greatest ‘load’ or bend. 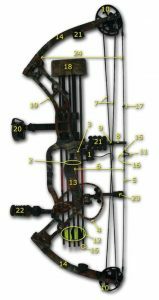 After peak weight is reached, the compound bow’s cam system ‘rolls over’ already having stored maximum bend or load in the limbs, the draw weight is lessened, and the archer is actually only ‘holding’ 14-20 pounds. During the shot, the cams release the stored energy and the arrow is delivered with great kinetic energy. Modern compound bows can reach speeds exceeding 365 feet per second. Draw lengths are adjustable on a compound bow by changing modules, cams, or by adjusting setting on the cams. The longbow was the first bow ever invented. Hunter gatherers typically made this bow out of yew wood, but longbows have also been made of osage orange, hickory, oak, beech, birch, ash, elm, and bamboo. (1) Longbows, throughout the years have been between the lengths of 4 and 7 feet, with an average length between 6-6.5 feet. Modern longbows have a draw weight of around 50-60 lbs while longbows of the past reached draw weights of 150+ lbs. The effective range of longbows has been known to be around 200 or more yards. During medieval warfare, thousands of archers would fill the sky with potentially lethal arrows from the furthest lethal distance. The historically significant longbow is still available for purchase and is still used today in traditional target archery and hunting. The recurve bow is a bow, when not strung with a bow string, that has tips that curve forward of the archery. When the archer strings a recurve bow, the forward curved limbs are bent back towards the archery to enable the archer to string the bow string on the limb tips. The strung recurve bow’s tips are now vertical in lie and the bows limbs are now preloaded with stored energy allowing the bow to shoot a much faster arrow than its predecessor the longbow. The recurve bow’s energy storing limbs allows the bow to be shorter in length than the longbow thus becoming more convenient to use in tight quarters situations such as in thick cover or on horseback. The recurve bow is still a popular bow choice for use in traditional target archery and hunting. 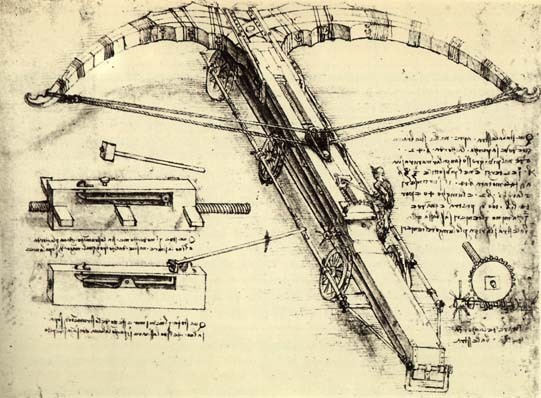 The original crossbows consisted of a bow with recurved limbs which was mounted on a stock similar to a gun stock. The limbs were fashioned to have a stronger resistance to bending therefore required much more force to draw back when compared to longbows and recurve bows. Due to the high draw weight, various mechanisms were created to aid the archer in drawing the crossbow to full draw. When the crossbow’s string is pulled back to full draw, a locking mechanism is engaged, locking the bow’s string, keeping the crossbow at full draw until the archer triggers the shot. Crossbows were one of the most devastating wartime weapons in ancient East Asia, Europe, and the Mediterranean. (2) Modern crossbows work under the same mechanics but utilize a cam system just like a compound bow. 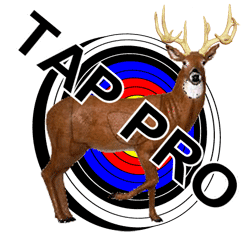 The crossbow is currently a very popular choice of avid target archers and bowhunters.